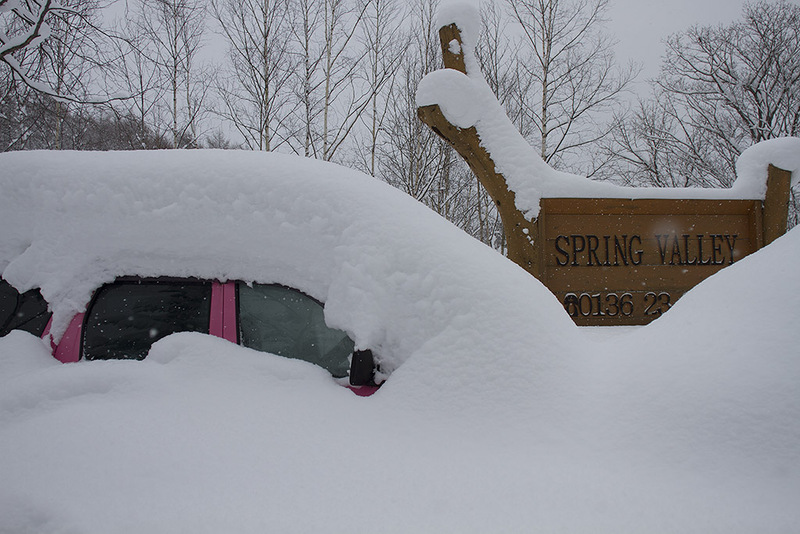 The Powder Express is just filling for the next run. 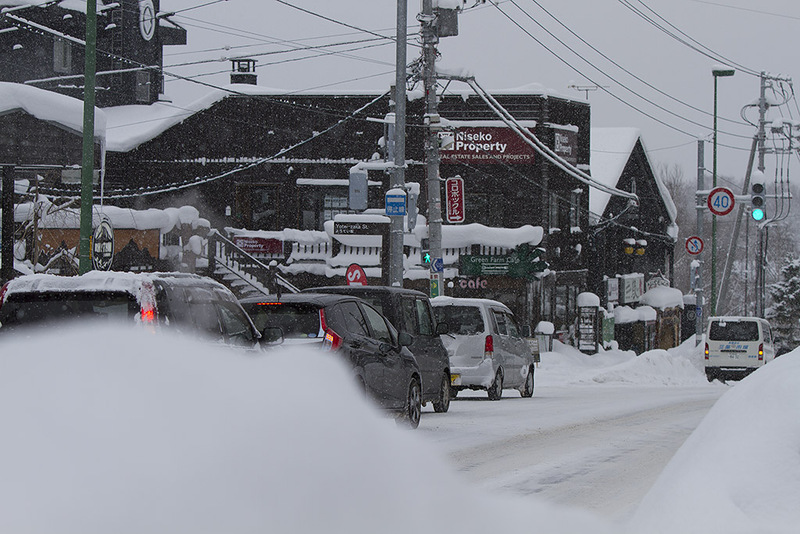 *.5cm has fallen in the last 24 hours in Niseko. 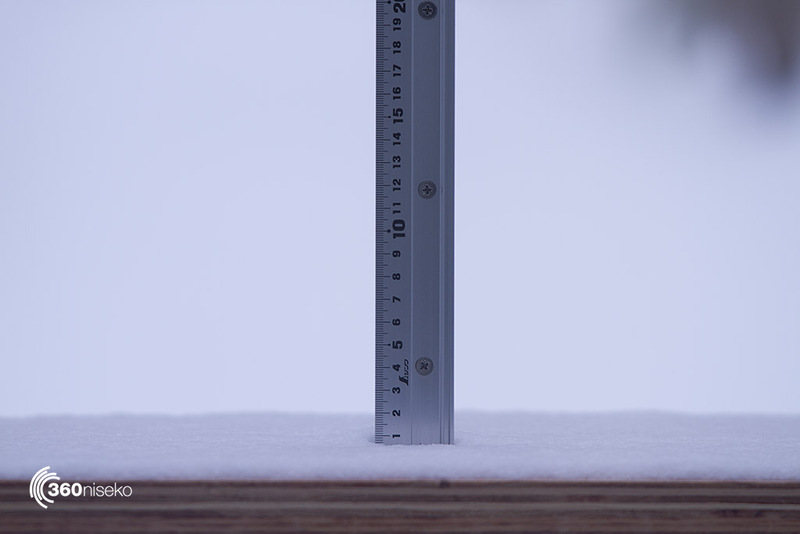 At 6:00 today the temperature was -0.1°C. 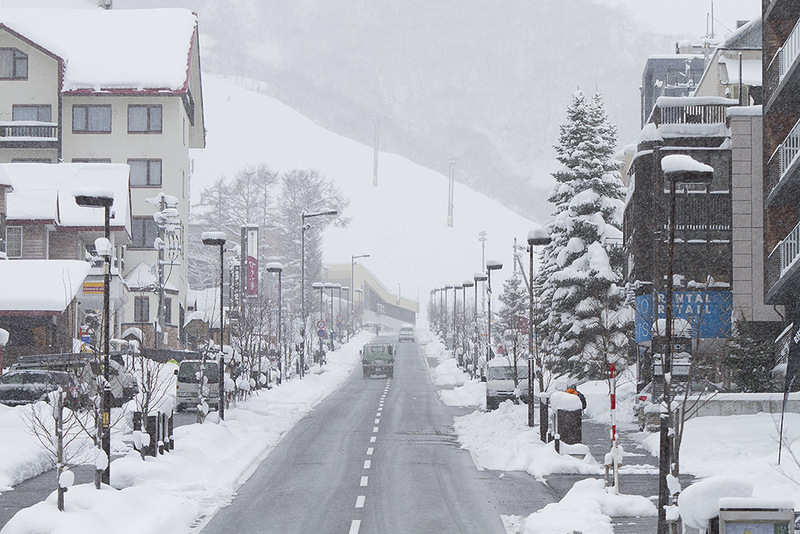 Right now Niseko is drawing collective breath as the dumpage we have been under draws breath. There is a warm front moving in as we type this report and while the forecast is for more snow from Wednesday right now it’s pretty clear. 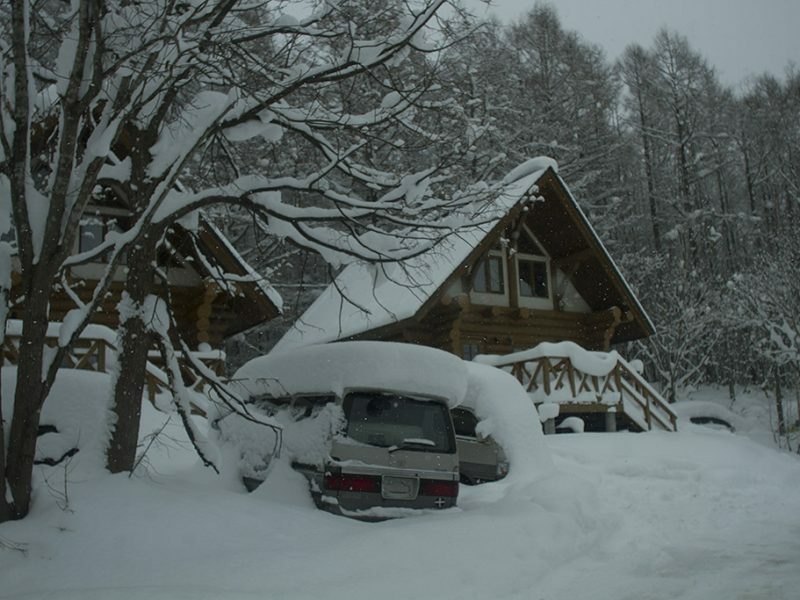 We took a bit of a spin around Hirafu yesterday to give you a feel for how much snow has fallen so check out the images below. 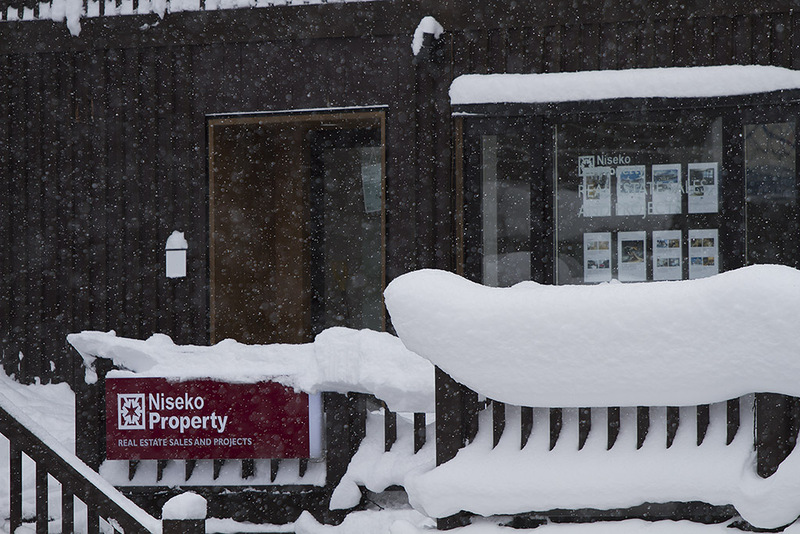 All sorts of things going on with lifts so keep an eye on the Niseko United Lift Status. 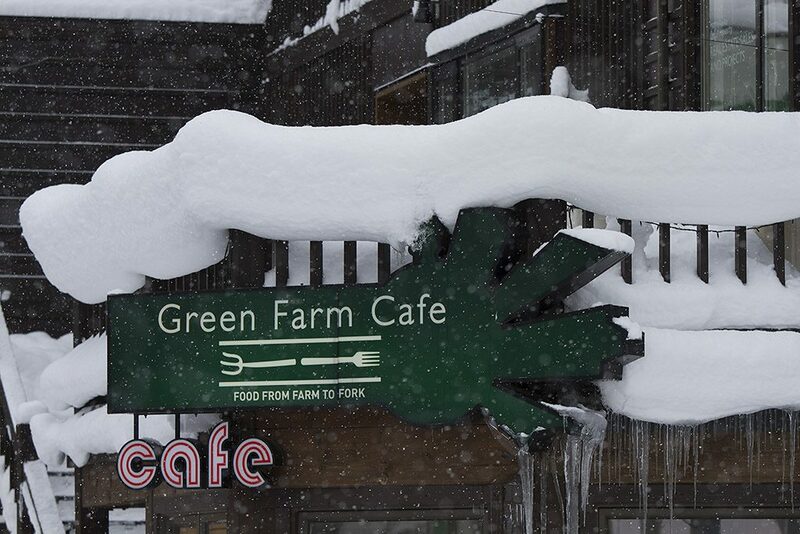 Green Farm Cafe looking pretty white. The traffic lights in the main street looking a lot like mid winter. 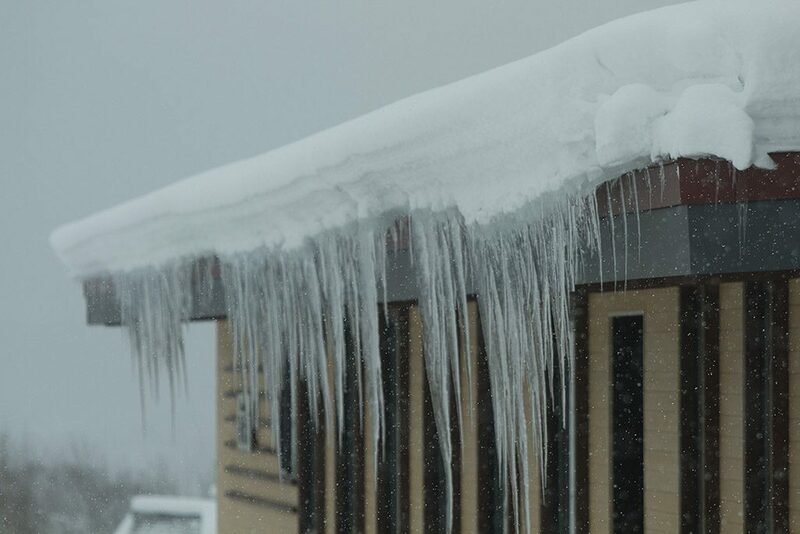 The Niseko Property balcony looks like a poster boy for a snow resort office right now. 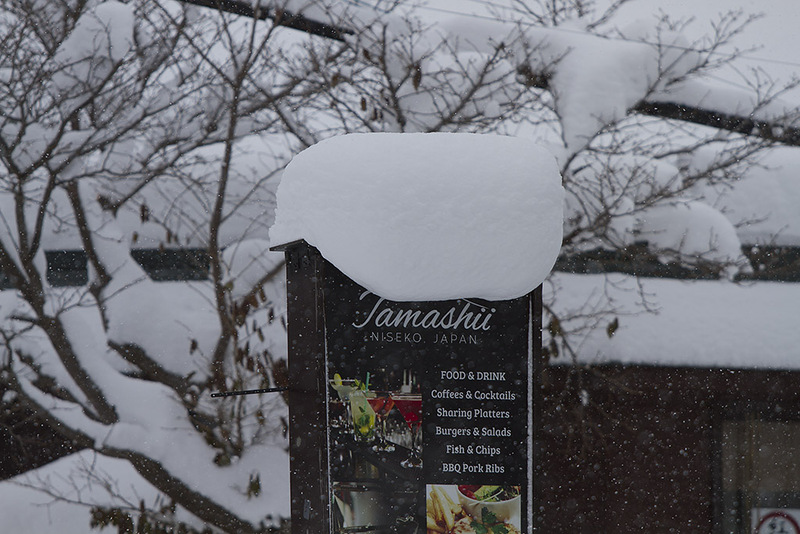 Tamashi’s sign looking like an exotic cocktail with a bunch of cream on top. One more dump and this one is gone.